Nothing beats a highland band with pipes and drums at a festival, parade, commemoration or other special occasion. We have a wide repertoir of Scottish traditional tunes as well as Australian favourites. Our fees are negotiable but generally we aim to support our community and are content with a suitable donation towards our costs. 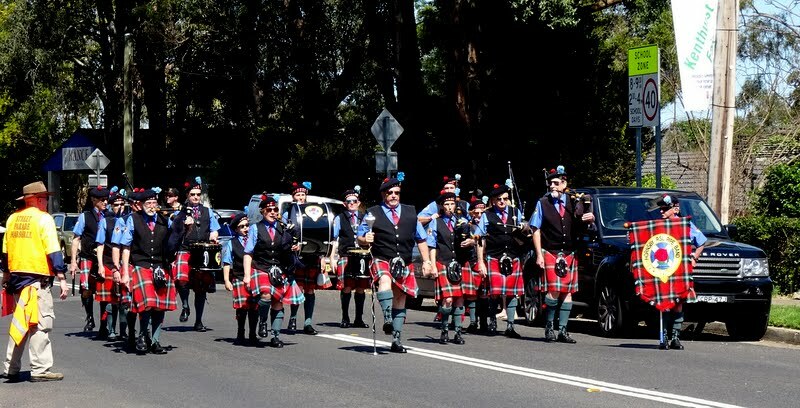 Individual pipers are also available to enhance your event, whether it be a wedding, birthday party, funeral or other occasion you want guests to remember. ​ Fees are negotiable, depending on travel and amount of playing required.